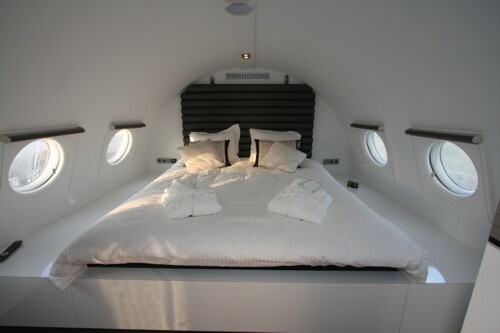 For plane enthusiasts there could be no better option than Airplane Suites in Amsterdam. A well travelled 1960s plane has been converted into a hotel suite strictly for 2 people. It has a double bedroom, bathroom (with a Jacuzzi and an infrared sauna! ), kitchen, living space, free Wi-Fi and air conditioning and prices start from just £125 per night. Off to Paris on the Eurostar and love trains? 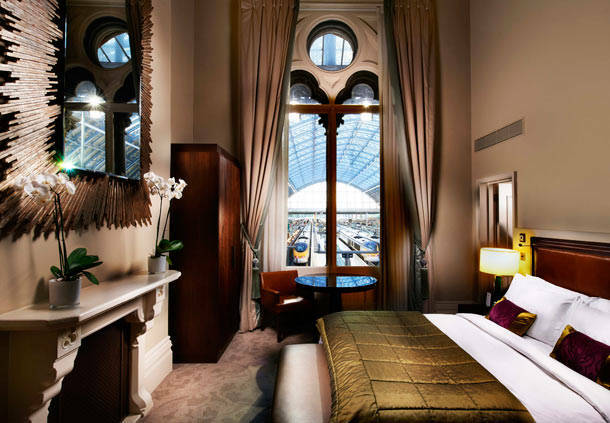 Spend the night before at St Pancras Renaissance Hotel, London. This elegant 5* hotel was restored in time for its grand reopening in 2011 and hosts The Chambers Suites, a luxury collection of suites with some dazzling touches. We particularly like the junior suites which have views onto the platform although if you would like luxury on a budget, you can choose to stay in a King/Queen room from just £189 per night (including a Friday in August!). 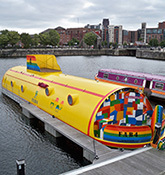 You may be more at home on the water and if you’re a fan of the Beatles or you just like something a little different, the Yellow Submarine in Liverpool may be for you. Décor from around the world comes together to create this unique floating hotel which even has a bedroom based on the suite at the 7* Burj Al Arab in Dubai. 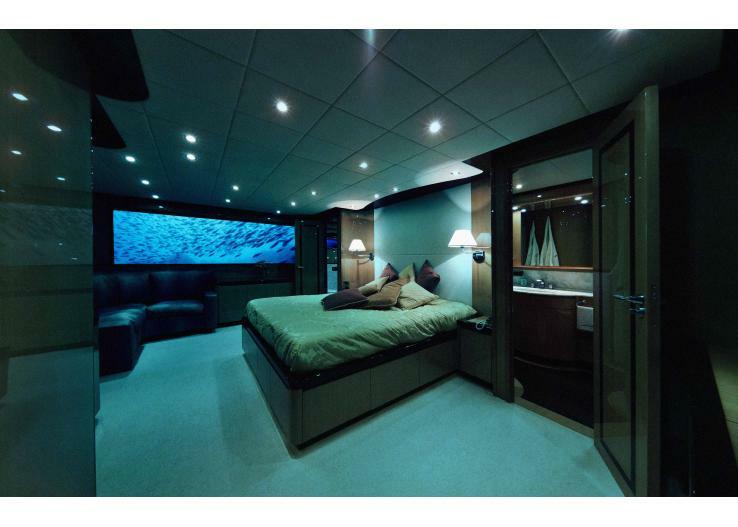 The Yellow Submarine would suit 5-6 people and start from around £175 per night. Alternatively, if you would like a positive sinking feeling, try an actual submarine. From £87,500 per person per night (not a mistake! ), Lovers Deep departs from a Caribbean Island of your choice and offers a Butler service, an aphrodisiac tasting menu and even optional rose petals and a Barry White soundtrack for those of you who can’t get enough. And one for the future, Japan’s Cruise train, the JR East, is set to start running in Spring 2017. 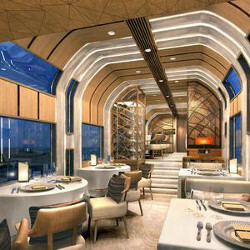 Looking at the plans and photo mock up, you could be fooled into thinking this is a plush hotel and not a carriage on rails which will be moving at speed.